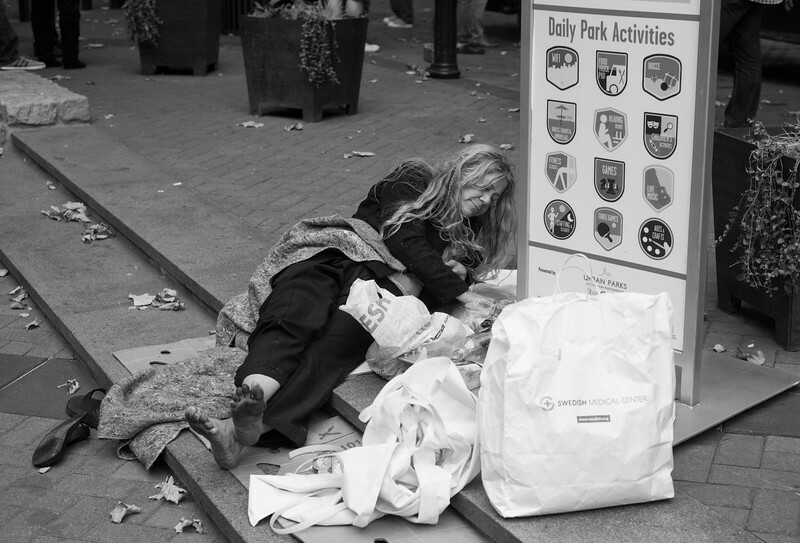 A woman rests near the activities sign in Pioneer Square. She told me she had not eaten in more than a day so I bought her lunch from one of the lunch trucks. I haven't seen her in the park since that day.